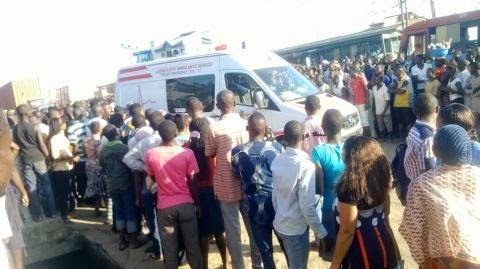 According to Punch, No fewer than 50 persons have been feared dead, with several others injured in the Synagogue Church building collapse in Lagos. A six-storey building has collapsed at the headquarters of the Synagogue Church of all Nations, Ikotun, Lagos. The building, which is located inside the church premises, is said to serve as a guest house for foreigners that visit the church. Our correspondent reports that no fewer than 70 guests were said to be in the building when the building came down. No reason had been given for the building collapse neither had the church issued a statement as of the time of filing this report.